Savannah Marshall can be women’s boxing’s pound-for-pound queen - that’s the view of her promoter Mick Hennessy. 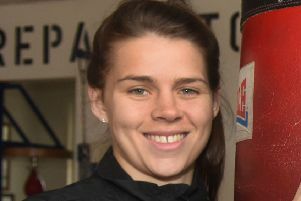 The Hartlepool super-middleweight has her first professional fight in the UK this weekend, on the undercard of Sam Sexton’s British heavyweight title defence against Hughie Fury in Bolton. And ahead of that, Hennessy admits he thinks 26-year-old Marshall, in just her second pro outing, has got all the tools to take the women’s game by storm. “For me ,she has got the potential to be the best woman fighter in the world pound-for-pound,” said Hennessy. “Not only has she got great boxing ability, she is the biggest puncher of the women in the world. “She is so heavy handed and I think that is something that is missing in the women’s game. 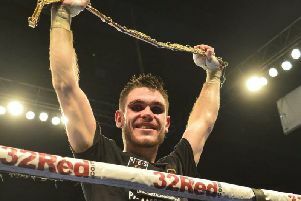 Marshall has spent her time preparing for the fight under the watchful eye of Peter Fury, father to headlining act Hughie, and uncle to controversial heavyweight Tyson Fury. And Hennessy can already see the benefits of working with Fury. “I have been watching her in the gym, watching what Peter Fury has been doing with her,” he said. “She is punching harder than ever now. Hennessy knows that if all goes to plan, a rematch against Claressa Shields - the super-middleweight No 1 - is in the offing. Marshall is the only fighter to beat Shields, when she knocked her out of the amateur world championships back in 2012. “That is a fight that is destined to happen again,” said Hennessy.